Beach volleyball came into existence in the 1920s in Santa Monica with six on a team. Two-person volleyball teams began in the 1930s. The sport steadily grew with various tournaments and pro circuits, eventually becoming an Olympic sport in 1996 with 42 countries represented. In 2010, the NCAA made it an "emerging" women's sport, initially calling it "sand volleyball." 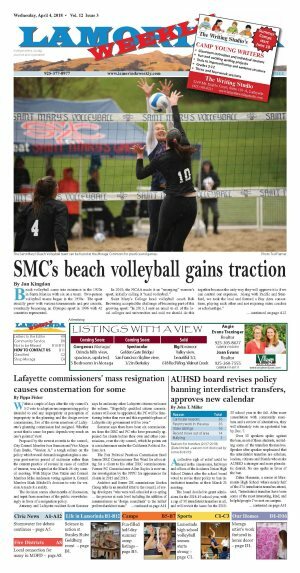 Saint Mary's College head volleyball coach Rob Browning accepted the challenge of becoming part of this growing sport: "In 2013, I sent an email to all of the local colleges and universities and said we should do this together because the only way they will approve it is if we can control our expenses. Along with Pacific and Stanford, we took the lead and formed a Bay Area consortium, playing each other and not requiring extra coaches or scholarships." When 40 schools adopted the sport, beach volleyball became a fully sanctioned NCAA championship sport in the 2015-16 school year, launching a single all-divisions national championship, encompassing 93 college teams with the numbers still growing. When Browning approached the indoor team about playing beach volleyball in the spring, he received mixed reactions: "When we first brought up the idea of the players also playing beach volleyball, half were excited and half were not so sure. Now all of our volleyball players come in with the expectation and desire to play on both teams." At many of the major universities, players will play exclusively on one team or the other. At Saint Mary's, there is one player who only plays beach volleyball, freshman Morgan Kendrick, a walk-on who is also a big supporter of the indoor team. Says Browning: "We recruit specifically for the indoor team and it is a bonus for us if the players have had experience playing beach volleyball prior to their arrival at Saint Mary's. The two sports, obviously very similar, are still distinct, requiring at the very least, a different mindset. According to Browning: "Unlike indoor volleyball, where players are very specialized, in beach you have to be a well-rounded player. You can't just be a passer or setter or hitter, you have to be able to do it all. The indoor game is much more of a power game. Beach volleyball requires much more finesse. You develop more ball control on the beach and players must have the ability to place the ball in the open spaces." 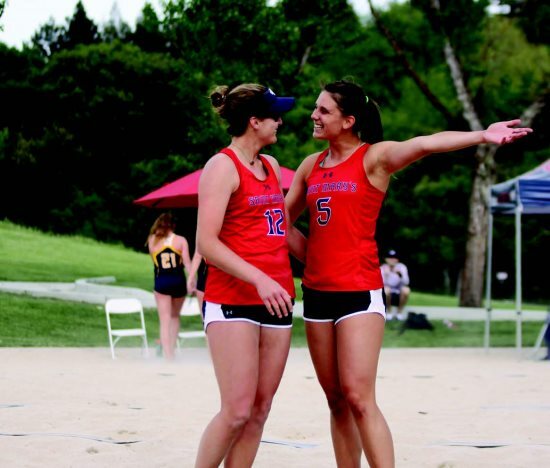 To learn the subtleties and nuances of beach volleyball, Browning was very fortunate to learn from two beach hall of famers, Mike and Patty Dodd, whose daughter Dalas played for Saint Mary's. The Dodds welcomed the opportunity to work with Browning. 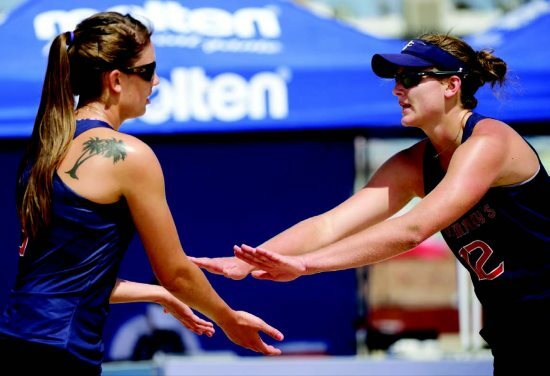 "Rob saw the benefit of beach volleyball for the indoor player," says Patty Dodd. "The biggest thing is the amount of reps. The beach player will touch the ball three times more often than in indoor volleyball. Some programs were apprehensive but now everybody is starting to play beach volleyball because a lot of players want to do both. Mike was able to direct them how to run practices and I worked as a volunteer coach. The main difference is that on the beach, you play narrow and vertical and the game is a lot slower with only two people covering the whole court. Indoors you pass wide and fast." Patty, who runs a club team of her own in Southern California, speaks highly of how quickly Browning took to the beach game: "Rob is such a phenomenal coach and a quick study. He constantly asked why this and why that and picked things up very easily. I very much appreciate the foresight he had and the effort he expended to get the program up and running." With the coaches in beach volleyball not permitted to coach during the game, Dodd sees this as another attraction: "They love being involved in every rally and they are autonomous and in charge of their game and with no coaches yelling at you from the sidelines, they love that as well." With the two women teams, conditioning is more crucial on the sand: "You're involved with your partner on every play," says Browning. "With indoor volleyball, you may not touch the ball for several rallies. Beach players may have to play three matches in a day in a tournament. Our players are very self-motivated. They lift twice a week and practice a lot. Even a light practice in the sand can be exerting so conditioning is that much more important." Though more demanding on a cardiovascular level, beach volleyball has fewer injuries. The sand is more forgiving and is easier on the players' knees. There are also less shoulder injuries because the players rarely swing 100 percent whereas indoors, the players are constantly swinging with full force. Saint Mary's plays their matches at the Moraga Commons Park. 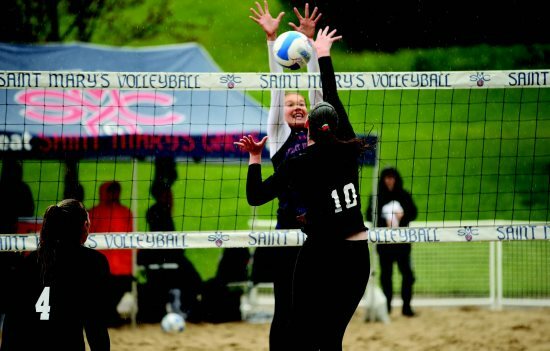 Initially, the courts were very hard and Browning and Saint Mary's addressed the conditions: "We took it upon ourselves to rent a tiller to make the sand softer. Since then the town has redone the courts and they maintain them now." The town has improved the sand on the courts, put in a drainage system and have put down permanent lines with adjustable nets. All this has come together for a very successful season so far at Saint Mary's. The Gaels have a 9-2 record and are ranked 19th nationally. The top players on the team are juniors Lindsey Knudsen and Payton Rund. Says Browning: "Lindsey and Payton are two of the best players in the country. Last year, they were a formidable pair because you could not pick on one or the other. They have few weaknesses and they both play the entire game so well." Besides Knudsen and Rund, senior Mary Hernandez, juniors Emily Bible and Morgan Hughes and sophomore Sarah Chase have all had successful seasons. Junior Alex O'Sullvan is the lone local on the team, from Albany and St. Mary's High School. 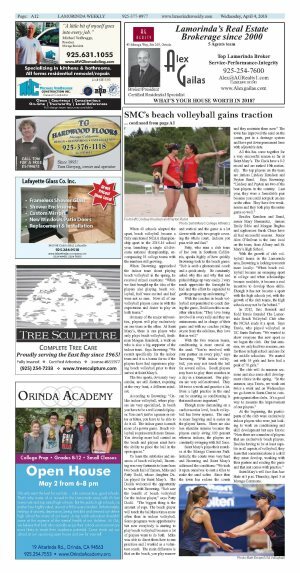 With the growth of club volleyball teams in the Lamorinda area, Browning is looking to recruit more locally: "When beach volleyball became an emerging sport in college and when scholarships became available, it became a real incentive to develop those skills. Though it has not become a sport with the high schools yet, with the growth of the club teams, the high schools may not be far behind." In 2012, Eric Benisek and Todd Travis founded The Lamorinda Beach Volleyball Club after the NCAA made it a sport. Says Travis, who played volleyball at UC Santa Barbara: "We wanted to show everyone this new sport so we began the club. Our first summer, we only had two sessions, one for those in high school and one for the middle schoolers. We started out with 35 girls and have had a peak of 70 girls." The club will do summer sessions and also some skill development clinics in the spring. "In the summer, says Travis, we work out twice a week and on Wednesdays we go down to Santa Cruz to compete against other clubs. It's a good way to measure the improvement of our players." At the beginning, the participants of the club were exclusively indoor players who were just looking to work on conditioning and skill development but says Travis: "Now there are a number of players that are exclusively beach players. Besides having to be at least capable in all aspects of volleyball, they learn that communications is a skill they must develop, working with their partner and reading the game and that just comes with practice." Saint Mary's will face San Jose State at 3 p.m. Thursday, April 5 at Moraga Commons.